Calling all wrestling maniacs! Tonight´s the title match! Climb into the ring and strut your stuff - mix it up with some of the most savage wrestlers as you compete for the "Absolute Title Belt". But prepare yourself for Skin Head´s pulverizing rope dives, Mad Dog´s vicious airplane spins, Big Chief´s bone crushing bear hugs and Mr. Mean´s paralyzing body slams. The sizzling action never stops, whether you battle it out one-on-one or go to war for the Tag Team Belt. 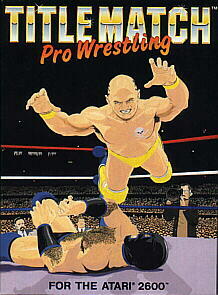 And after it´s all over, if you think you´re really good, match yourself against the computer to see who´s the ultimate ring warrior.